Nouaille-Maupertuis is a picturesque if rather sleepy little town situated in quiet countryside a little to the south-east of Poitiers in the Vienne department. 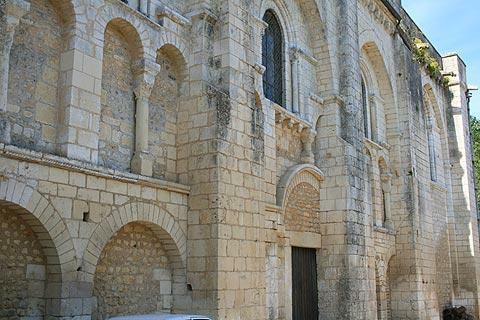 The abbey is a roman style building constructed in the 12th century, and named after Saint-Junien whose remains were brought here in 830. It was originally a benedictine abbey but later became independent. 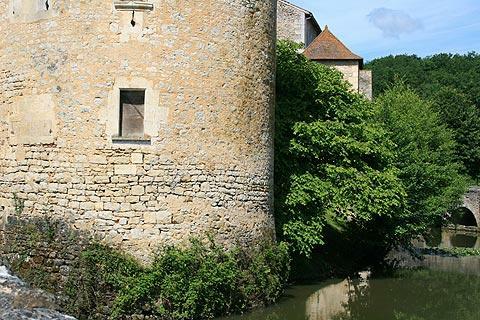 The abbey was fortified during the time of the Hundred Years War at which time it was surrounded by a high wall with defensive towers: you can still see a substantial part of these fortifications in the village. A good part of the original abbey buildings can still be seen, including the church and accommodation, the moats and parts of the ramparts including two towers and two original doorways. Note that some parts of the building (including the chevet) were reconstructed in the 17th century after being damaged during the wars of religion. 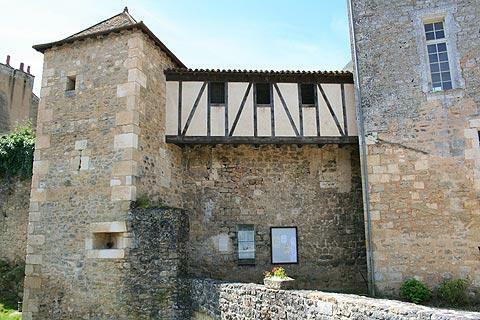 Some of the other monastic buildings can also be seen around a central courtyard, although the buildings themselevs are not open to the public, while the town mairie is now housed in the attractive Logis Abbatail above an arch over the road. 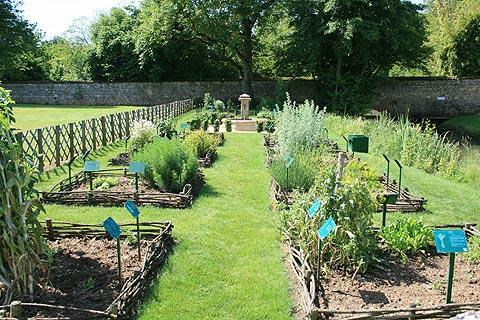 Next to the abbey in Nouaille-Maupertuis a small medieval garden has been planted in an attempt to recreate the types of plants that were once grown by the monks, both for food and for medicinal purposes. 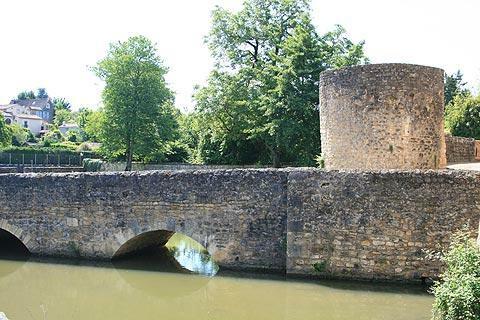 The small stone bridge that you can see across the river replaced an earlier drawbridge, that from the 17th century allowed access through the fortifications. Historians will also want to visit the site of the famous Battle of Nouaille fought in 1356 during the Hundred Years War in which the French were heavily defeated by the English, with many killed and and the French King Jean le Bon and his son were captured (they were subsequently released after the French paid a high ransom). The battle also gave its name to the village - the English army won because they lured the French into an area of scrub, hedges and ditches that suited the English archers but not the French soldiers. The word for the rough terrain, or 'bad route' chosen was a 'maupertuis'. A memorial now marks the site of the battle. Of course you will also want to visit the important town of Poitiers during a visit to the region, and your children will certainly enjoy a visit to the popular theme park at Futuroscope: both are within easy reach of Nouaille-Maupertuis. 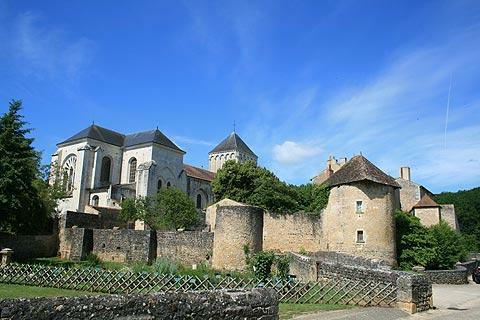 Enthusiasts of historic monuments will want to visit the church and castles at Chauvigny, about 20 kilometres north of here, as well as the impressive roman style church at Saint-Savin-sur-Gartempe.